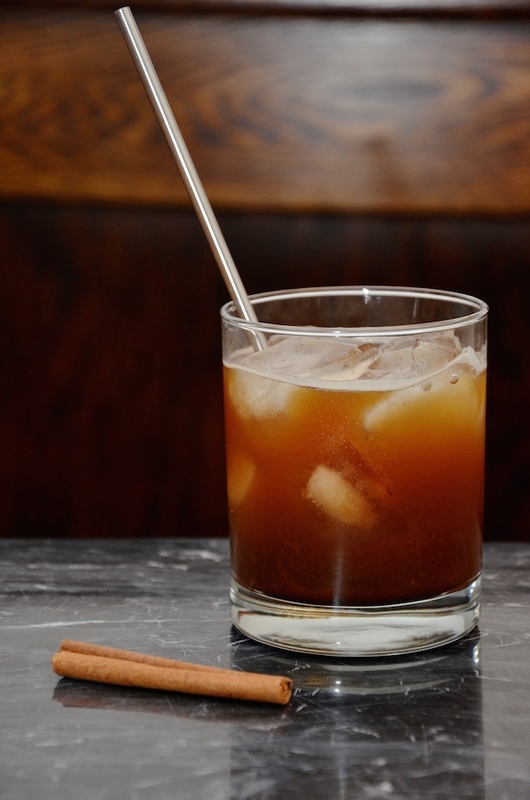 As much as I didn't want to come up with yet another bourbon based drink, there's something warm about it that pairs perfectly with autumn. 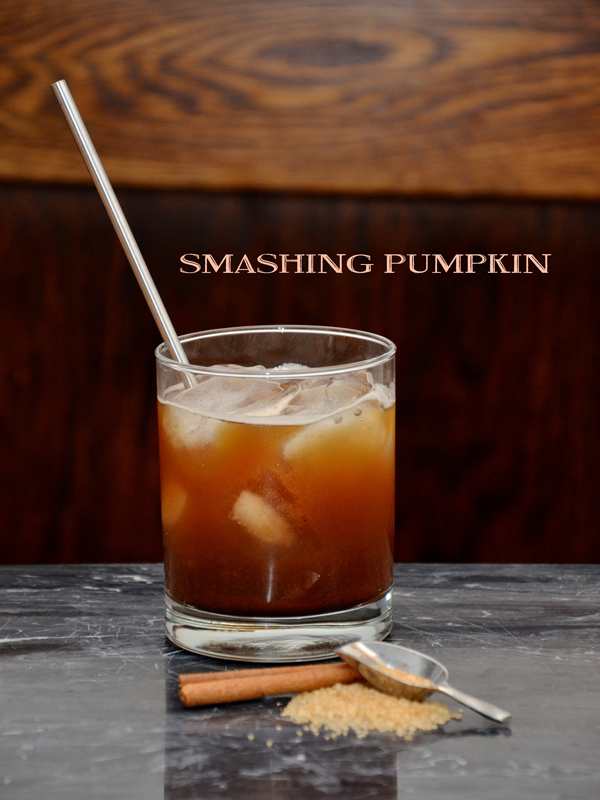 Since we still had some pumpkin puree left over from last week I thought it would be nice to do another pumpkin themed cocktail. 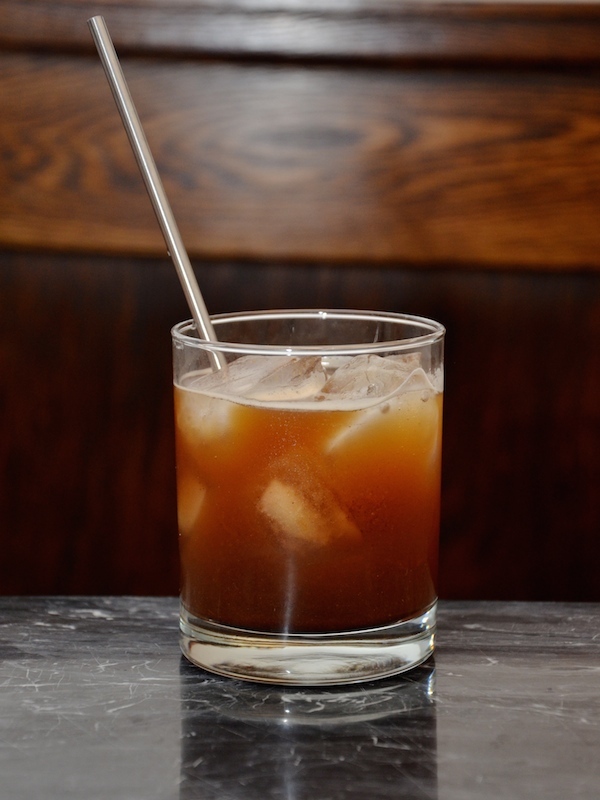 This one is a play on the classic whiskey smash. We swapped out lemon for honey, simple syrup for a brown sugar version, and mint for cinnamon. The resulting drink tasted disturbingly like a pie. Halfway through I started referring to it as a pie and topped it off with vanilla ice cream, which I highly recommend doing. You could probably serve this as dessert and no one would complain. Add bourbon, brown sugar simple syrup, pumpkin, puree, honey, cinnamon, and vanilla to a large glass or shaker and shake with ice. 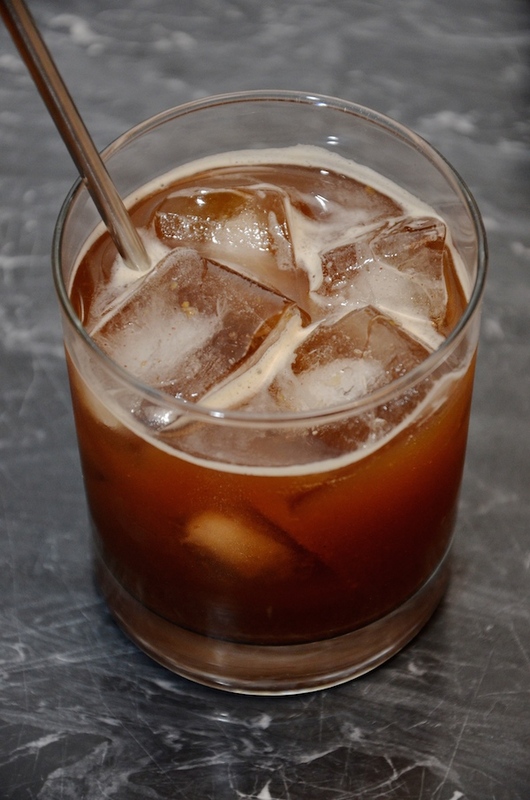 Strain, pour into a glass and top with with soda water. The addition of vanilla ice cream is optional. You need to stop sharing such amazing drinks! It's encouraging me to go out and buy all the ingredients needed to make them every weekend and I think my liquor store things I'm an alcoholic! ;) Have a great Friday girl! I legitimately look forward to these posts from you because you find the best recipes!!! Hope you have a wonderful weekend!!! P.S. my husband thanks your for all the bourbon based drinks LOL! Just made pumpkin bread yesterday so I'm definitely in pumpkin mode. I need to try this! It looks and sounds delish! I am loving your fall themed pumpkin drinks! This sounds delicious! Every Friday morning I'm ready for a drink after reading your post. Love it! :) I love pumpkin. These all sound so yummy but this one is the best yet! Def going to try this weekend:) Have a great one, girlie! Sounds soooo yummy! I love a good drink that warms you up. I'm going to have to try this one. Well, aren't you just my new best friend! Love some bourbon. Yum! Sounds so so good, can't wait to give it a go! Oh this sounds delicious !!! :) Def going to give it a try. Sounds so tasty. Not just a 90's rock band anymore. Ha, love it.